This remarkably documented historical account of the first large-scale use of chemical weapons a century ago comes as a timely reminder of the horrors and human sufferings caused by such an inhumane weapon. Indeed, after recent cases of chemical attacks in the Middle East, the already substantial international efforts to prohibit the use and possession of this weapon of mass destruction and eliminate it forever must reach their ultimate phase. This volume should help decision makers to preserve humanity from this scourge in the future. These excellent, accessible accounts of how the modern world started using chemical weapons is a valuable addition to the wider understanding of this issue, sadly now of renewed relevance as poison gas once again appears on battlefields. The histories of people whose experiences have not previously been widely available to non-specialists are especially welcome. So are Dr. Zanders’s scholarly analyses of the world’s successive efforts to ban these weapons. Most of this book recounts how the first ban failed spectacularly during World War I. Perhaps if we understand that better, the second effort to ban these things, launched only in 1997, will have a better chance. In a centennial year that commemorates the first use of chemical weapons on the Western Front, few would deny its persistent presence in modern memory. For many years, historians have tended to view the subject in national terms. Now, in this seminal collection, Professor Zanders and colleagues deepen and connect these narratives, and show how chemical warfare, shaped by industrial science, fostered new discourses of terror, shock and fear across the world. From shared experiences, lessons were learned, and norms were established, but a century later, the world has yet to see its abolition. 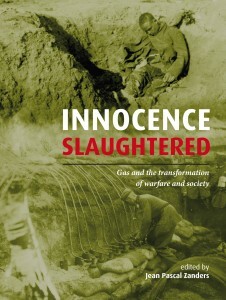 This book is a salutary reminder of the horrors of chemical warfare and the challenge they present to mankind. 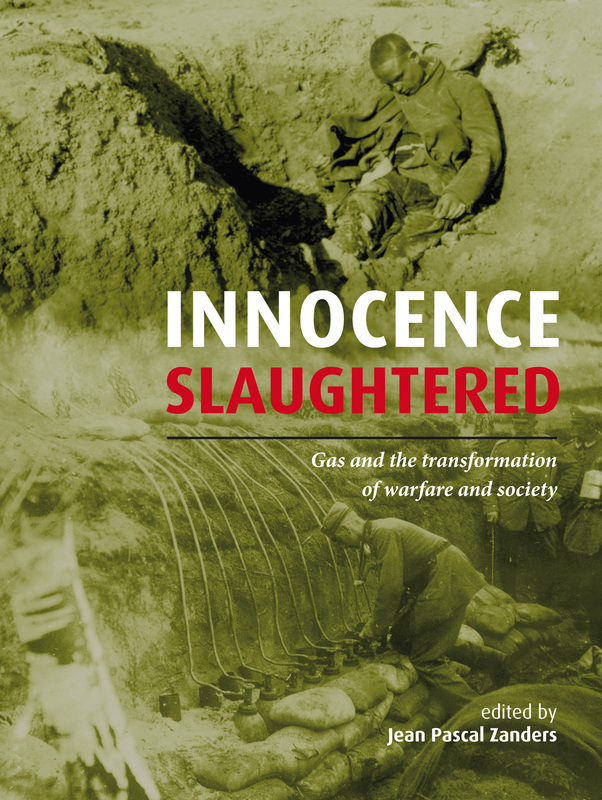 As we commemorate the 100th anniversary of the first major use of chemical weapons in warfare in WWI, the new volume, Innocence Slaughtered by Jean Pascal Zanders and colleagues importantly documents the inhumane and indiscriminate nature of these weapons of mass destruction. This historic volume is a timely reminder, while chlorine is being used in Syria, of the ghastly nature of gas warfare and why we need to abolish these weapons.